In Colville, Washington, a town of about 5,000 in the northeast corner of the state, not everyone was upset about the longest government shutdown in history. During the shutdown, the federal services that many in the community depend on functioned with little interruption: Food assistance vouchers were distributed, agricultural loan and insurance programs continued to operate, Social Security checks came through and federal timber sales were processed. Even as federal employees in the Forest Service and Border Patrol bore the brunt of the nearly 35-day shutdown, falling behind on both bills and tasks or forced to work without pay, most in the town were sheltered from the impacts. While the doors to agency offices were locked, many of the business services continued to operate. During the shutdown, taking care of businesses that depend on federal agencies — agriculture, timber, and oil and gas leasing — remained a priority for the Interior Department and Department of Agriculture, which runs the U.S. Forest Service. But while government business continued behind locked doors, scientists missed conferences, firefighter trainings were cancelled, and workers fell behind on planning projects, such as habitat restoration and thinning to reduce fire risks. Even though Forest Service employees who work on those projects were left out of work, timber sales continued on the Colville National Forest. One reason they were still being processed during the shutdown is that the Forest Service was able to tap into trust funds from past timber sales that are held by individual agency offices, explained Andy Stahl, the executive director of Forest Service Employees for Environmental Ethics. “If it was a true government shutdown, it would have been felt a long time ago,” said one furloughed Forest Service employee: The timber industry would have lost work, and timber companies would be on the phone with Cathy McMorris Rodgers, the local Republican congressional stalwart, complaining about the impact on their businesses. That furloughed worker and another mid-career Forest Service employee, both of whom work on projects related to forest health, said the shutdown has made them question their career choices. “Morale is low and is going to be low,” one said. “We’re going down a road to bitterness.” Both workers, who asked not to be identified because they were not authorized to speak with the media, felt like they’d be playing catch-up for months to come. They both wondered out loud about their future job stability and the chances of finding outside employment. And the shutdown isn’t the only reason trained biologists, engineers and habitat planners have to worry about their future working for the Forest Service in Colville. 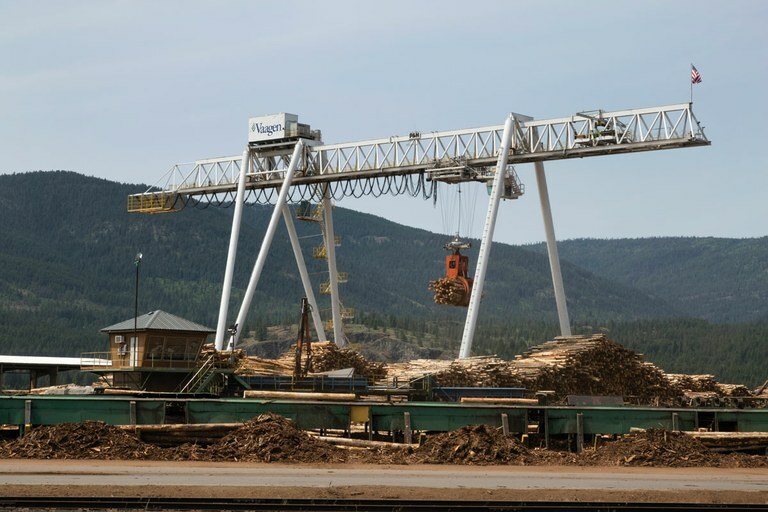 A program pioneered in the Colville National Forest that started in 2013, dubbed the “A to Z” project, allowed the local timber company, Vaagen Brothers Lumber, to hire outside contractors to develop timber harvest plans, making the Colville ground zero for privatizing land planning in federal forests. Last summer, on a tour of the project, which has boosted timber production in the forest, then-interim and now permanent Forest Service Chief Vicki Christiansen touted it as an example of how the agency can embrace public-private partnerships in comments to Capital Press. When timber-sale planning is outsourced, biologists, engineers and land planners who work for the Forest Service are cut out of much of the process. What’s left is a contracting officer, agency decision-maker and private contractors, Stahl explained. This doesn’t bode well for the federal workers who are typically tasked with writing timber sales and forest plans because agency employees are replaced by consultants, who can do most of the work remotely. Outsourcing the planning of timber management represents a continued trend within the Forest Service of “disinvestment in rural America,” said Stahl. How long many of Price’s friends will be around is an open question. As firefighting continues to dominate the Forest Service budget and avenues for privatizing the work of government employees grow, the ranks of land managers who do the science and planning for national forests are dwindling. As the loss of middle-class jobs begins to reverberate in the local economy, rural areas like Colville will find out what they lose when federal workers follow the timber out of town. Carl Segerstrom is a contributing editor at High Country News, covering Alaska, the Pacific Northwest and the Northern Rockies from Spokane, Washington. Email him at [email protected] or submit a letter to the editor.